Make Some Noise With DIY Instruments! Do you want to get the attention of kids? Tell them you are going to make musical instruments. Not only will they want to make, or help make the instruments, but they'll also love playing them! You'll find a nice variety of homemade instruments in this article and many are pretty simple and easy to make. An interesting thing I found out about this percussion instrument (shown above) is that it dates back to Ancient Greece. There are more interesting facts to learn about the sistrum on the KinderArt site. There are eight different instruments shown on this site, Developmental Community Music. You'll have to scroll down on the page to find the tubaphone directions. 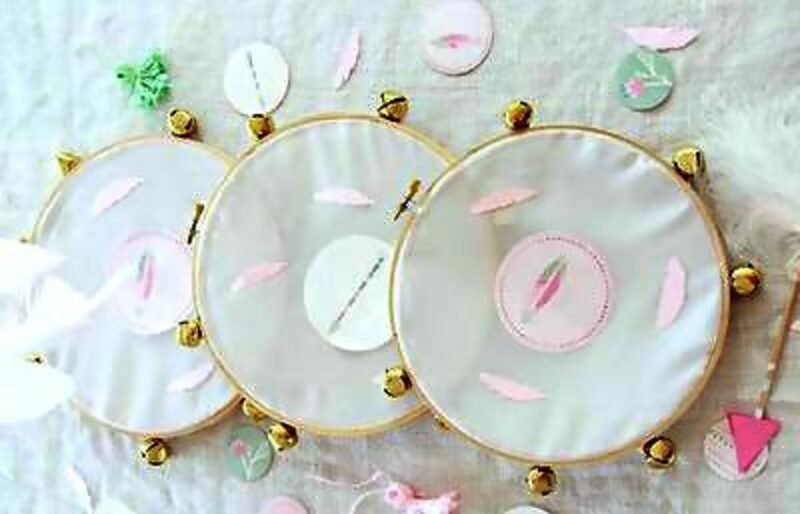 The directions for these pretty spin drums can be found at julep. 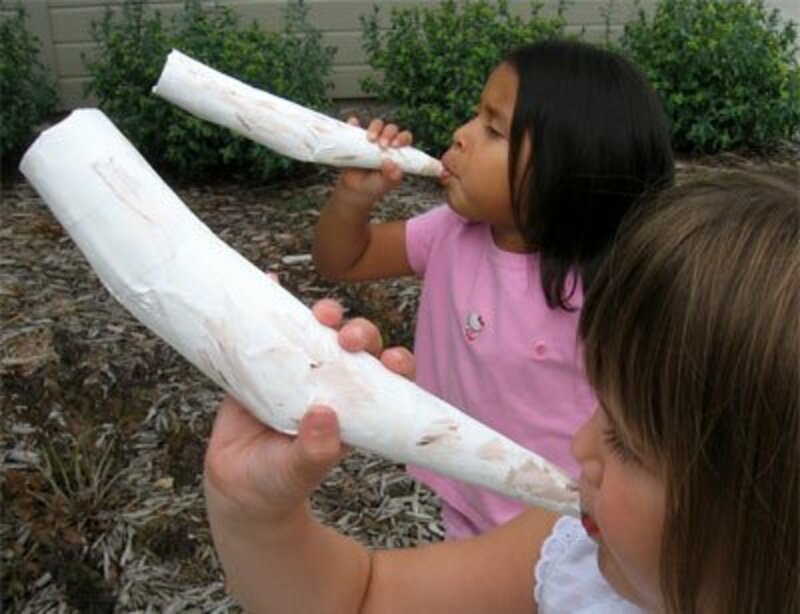 This would be a fun activity for a child's birthday party. 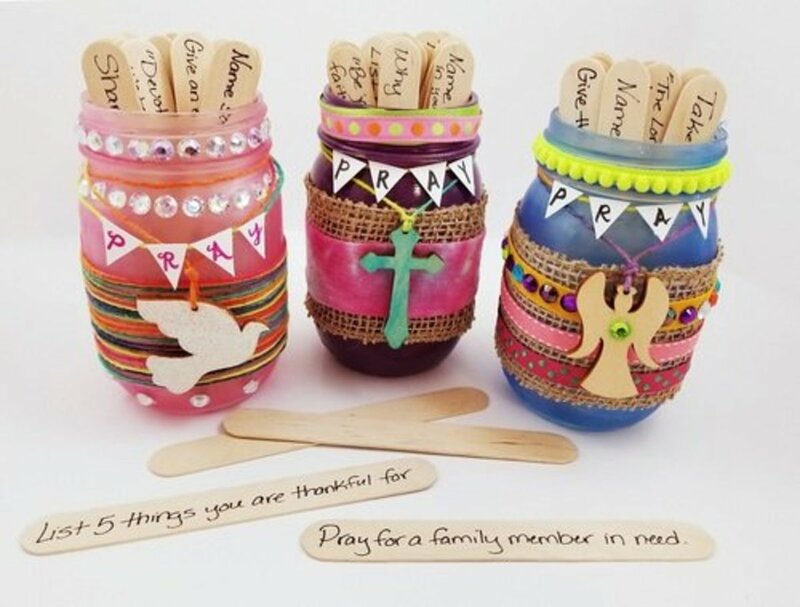 A cute make and take project. Music is made with these den den drums, or Japanese pellet drums, when the wooden stem is rolled between the hands, causing the beads to strike the heads of the drum. For the tutorial on making these drums, go to LEARNING 4 KIDS. 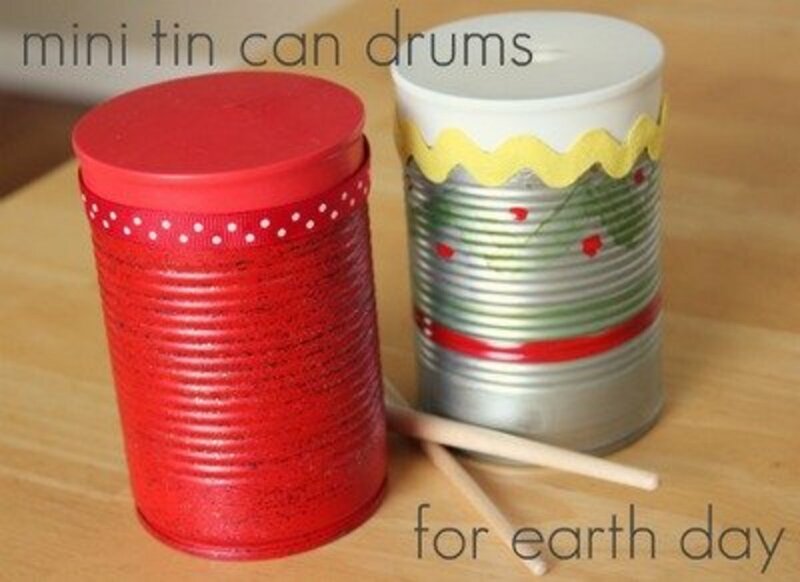 What could be easier than making drums using tin cans and a balloon? 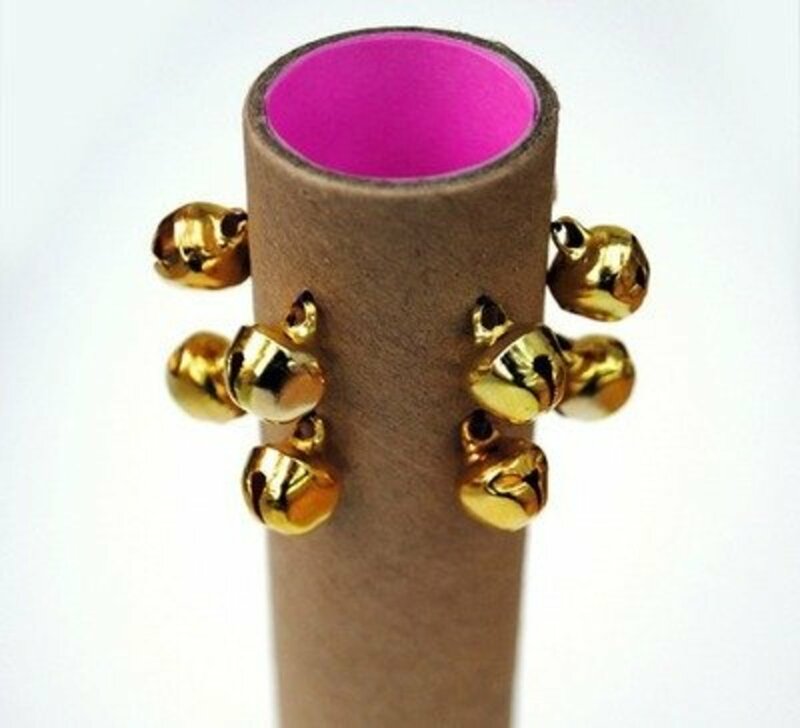 A very simple, yet effective musical instrument that the kids can make themselves. 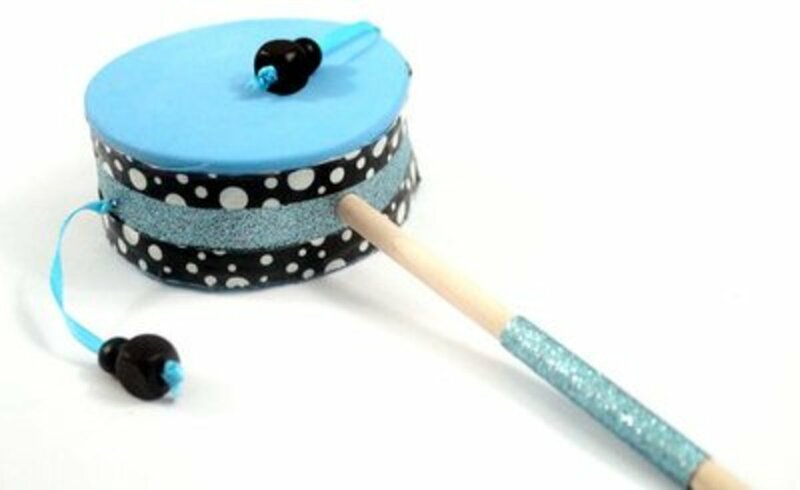 Find the instructions on making this attractive drum at make and takes. Although there are other instruments included with the bell shakers, I really like those. 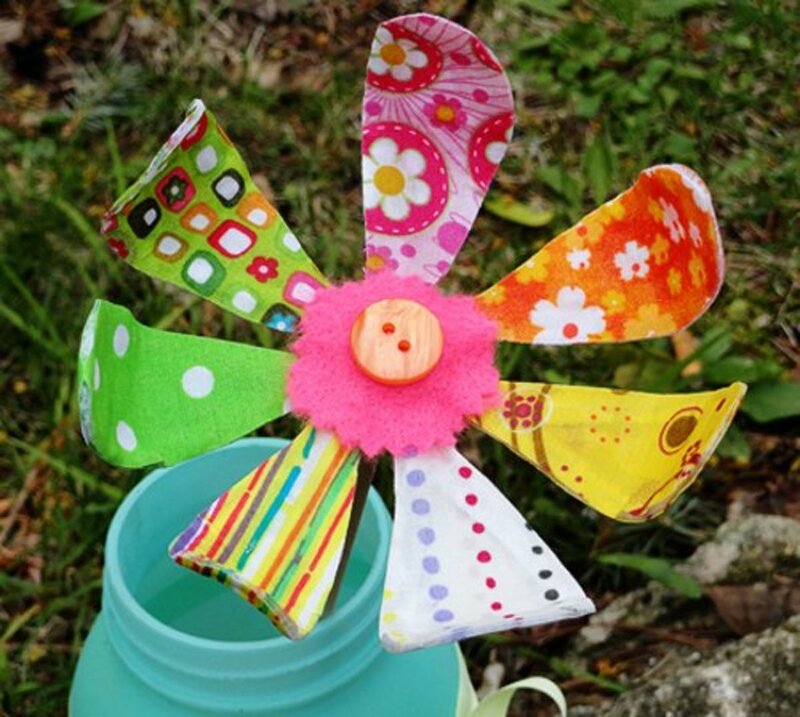 Visit hellobee to find the instructions on how to make these bell shakers. 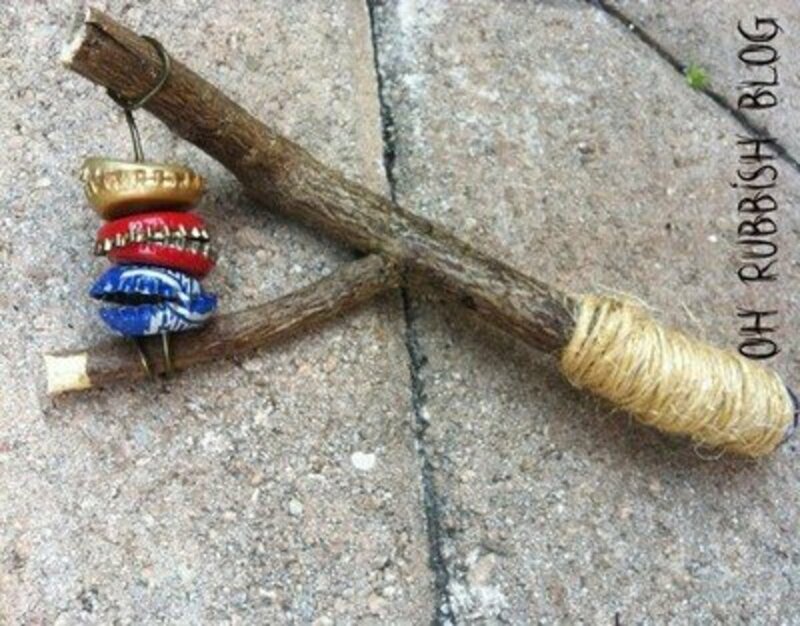 This is a nice homemade music instrument for the kids to make and enjoy making music with. I think this is a more advanced version of the comb and waxed paper of my youth. Housing a Forest is the site where you'll find the tutorial for this instrument. 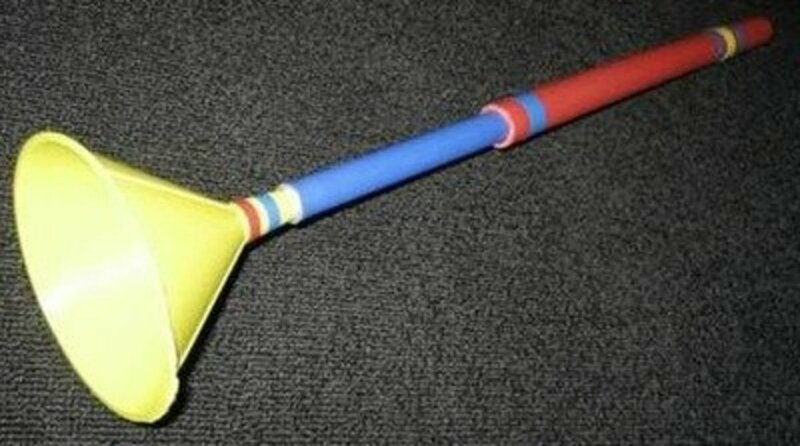 Now this is an instrument I'd probably be able to master. I like it because it makes lots of noise. 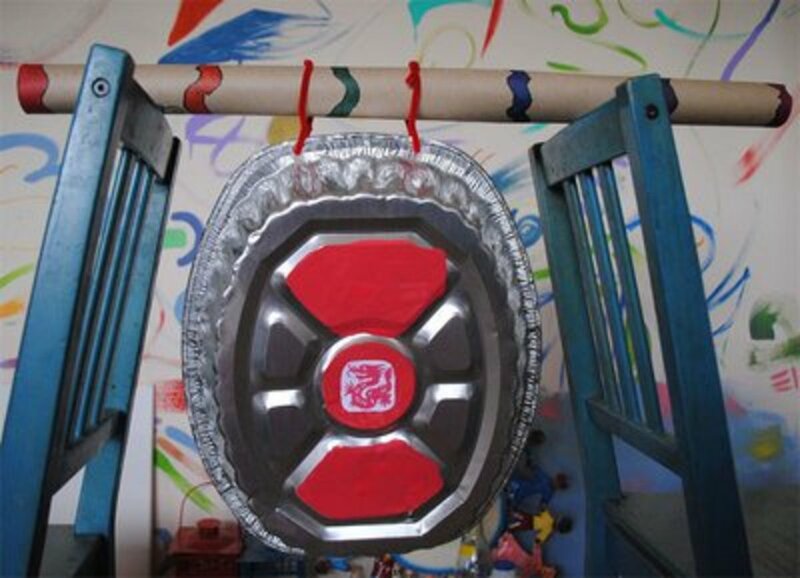 Find the instructions for making the tambourine at All Kids NETWORK . Doesn't this look like a party ready to start? This would make a great activity for the kids at a birthday party. 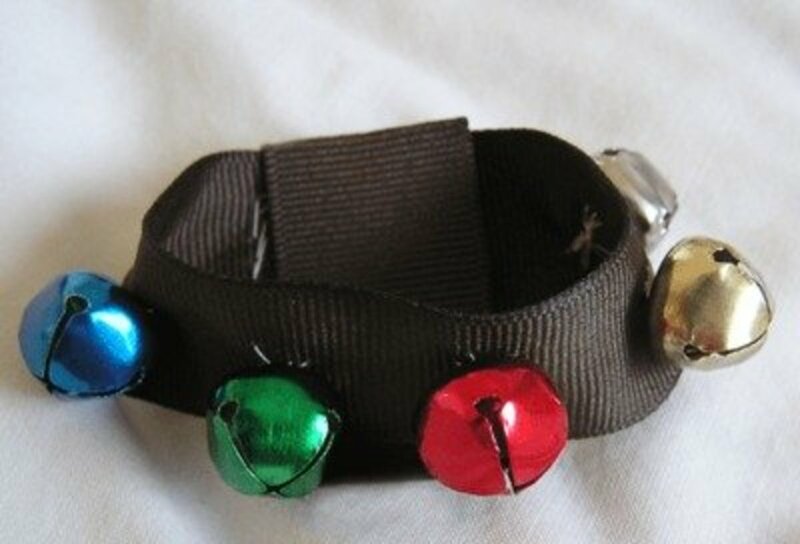 Make ankle (or wrist) bells by following the instructions at Rainy Day Mum and then sing and dance up a storm. Small coins or washers are glued to the edges of the painted plate to make the music with these cymbals. Go tofirst palette for the directions for making the cymbals. 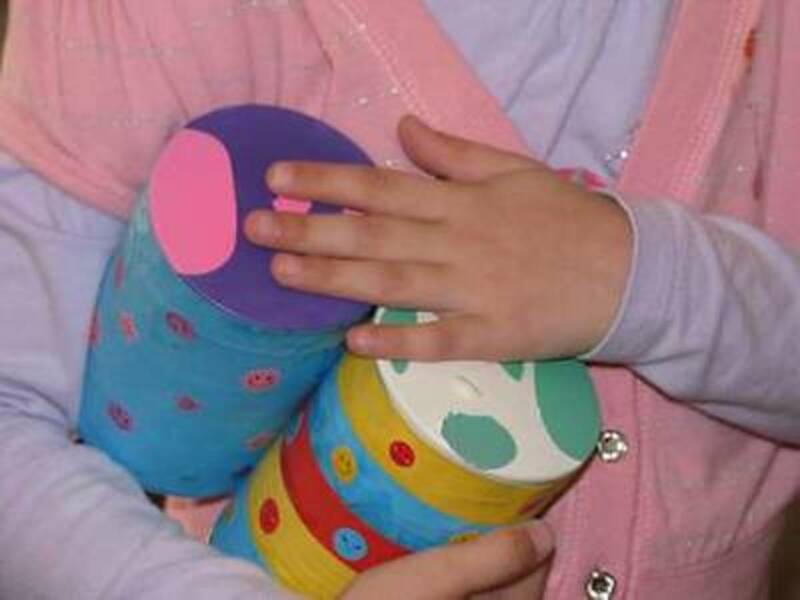 MINIECO.CO.UK has the tutorial for making the balloon bongo drums. As you'll see this is really a three in one instrument. 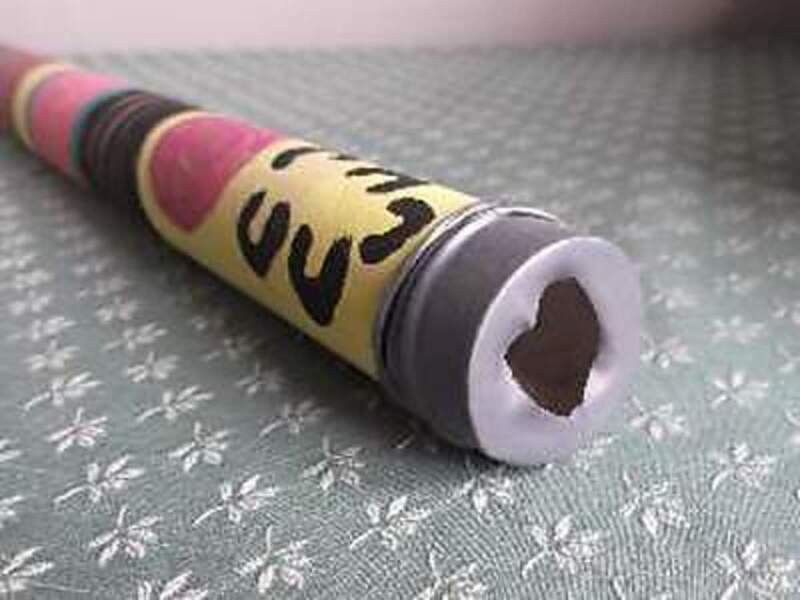 Every kid will love this noise maker. Oops, sorry, music maker. Granted, this may take longer to make than many of the homemade music instruments here, but it really looks like the real deal. 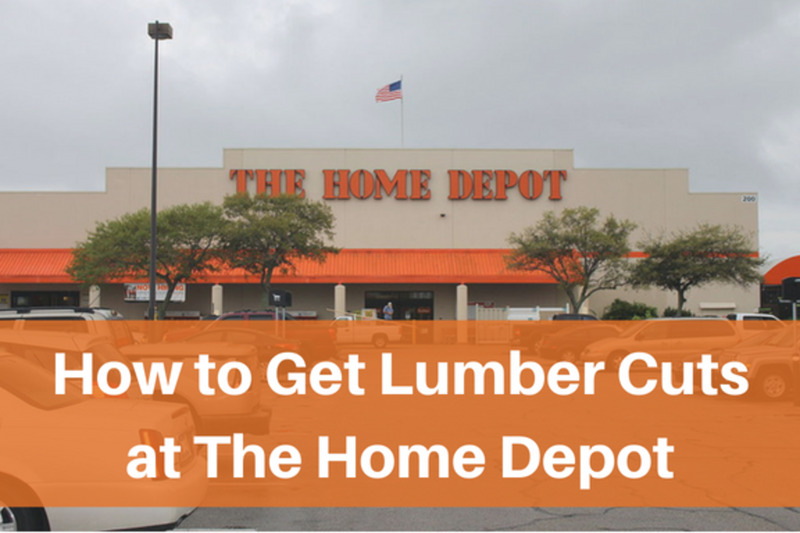 There is a great pictured tutorial at Make It & Love It that will make the process simple. 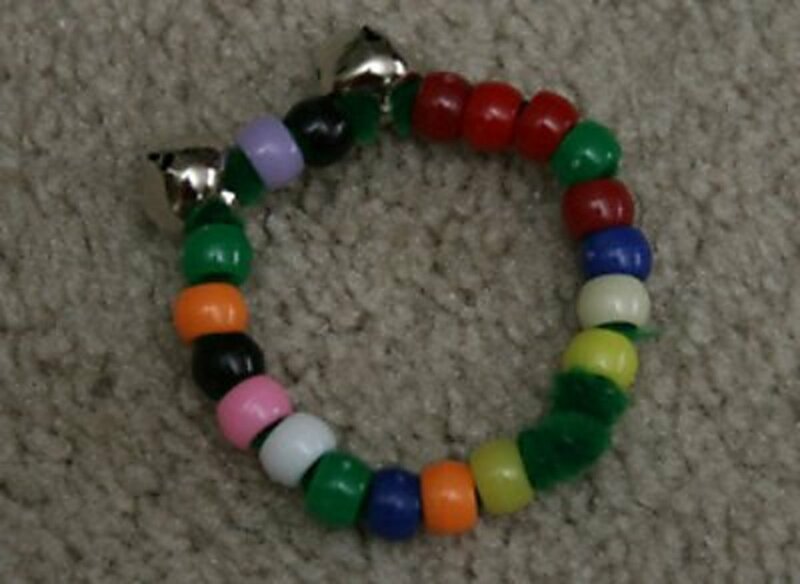 You can make a jingle stick or a jingle ring (or both of them) when you follow the instructions found at Buggy and Buddy. Once you have your supplies together, the jingles will come together quickly. 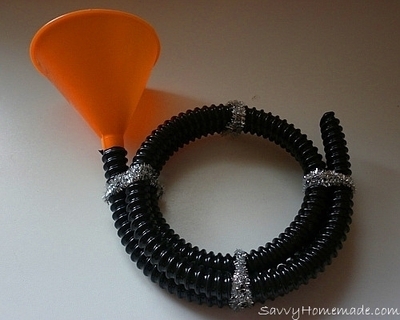 It'll be easy to make this French horn when you follow the instructions given at Savvy Homemade. You can have a whole orchestra when you include a French horn. It's really nice when we can teach about recycling while having fun making musical instruments. 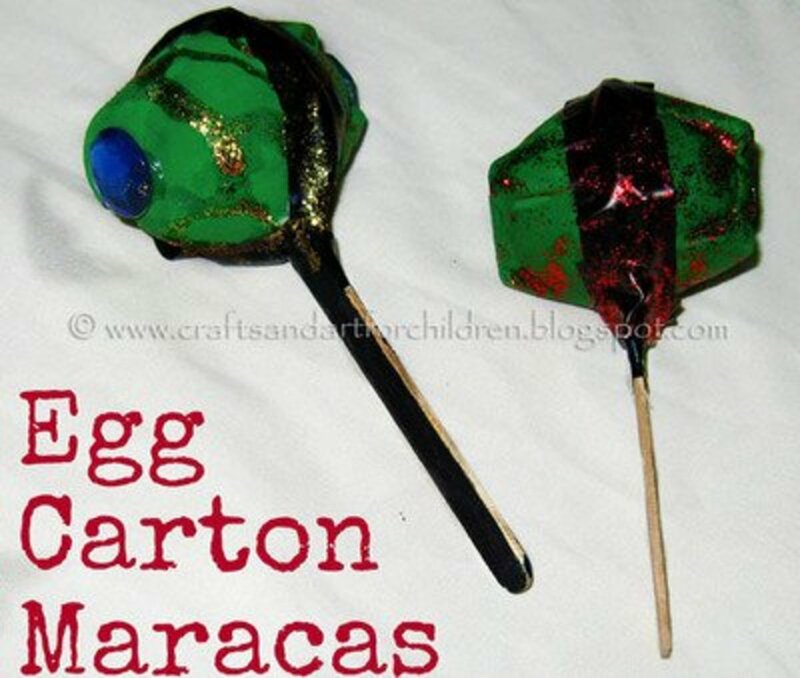 That's what we can do when following the instructions at Artsy Momma and using egg cartons for the maracas. 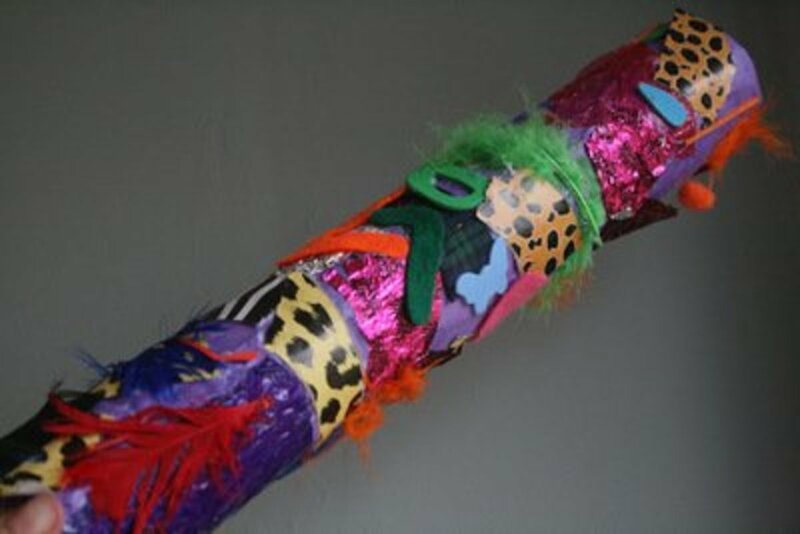 There's no limit to the ways a rain stick can be decorated, so when you are finished making your rain stick following the instructions at the imagination tree, then go to town with all the colors and bling. 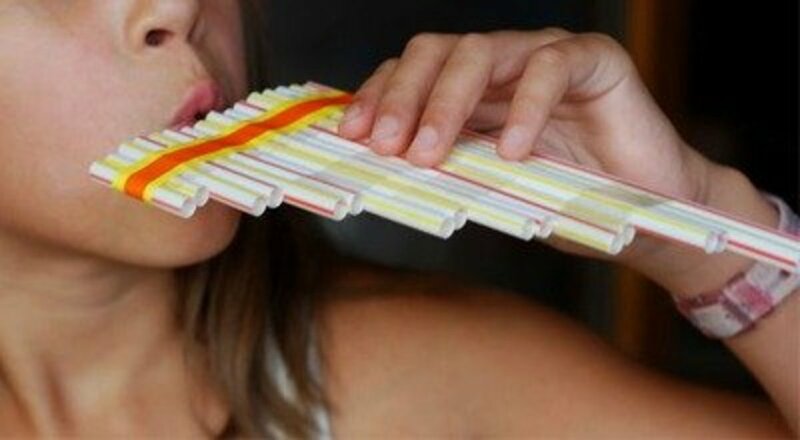 Did you know that you could make music by blowing on straws? The different lengths of the straws makes different tones. 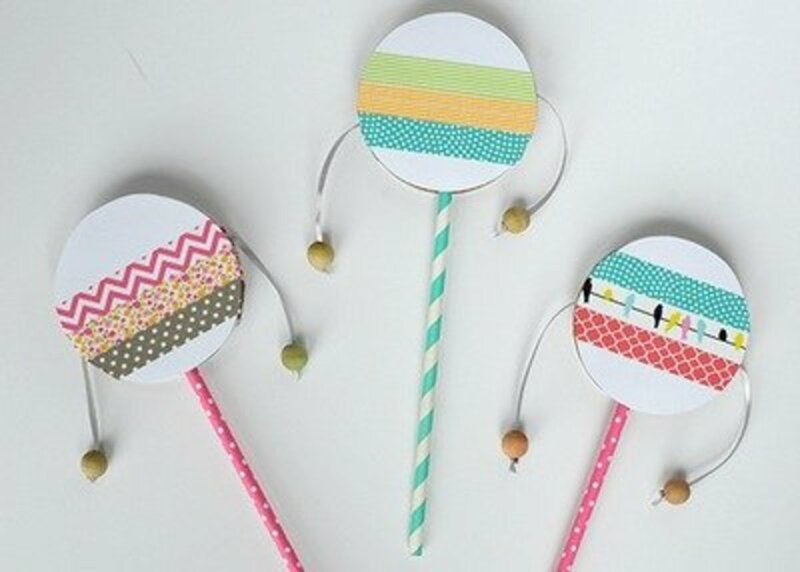 See how to make these singing straws by going to KROKOTAK and following the directions that you'll find there. I have to admit that this is the first time I've ever heard of a thumb piano. According to ALINA’S ADVENTURES , where you'll find the tutorial, the thumb piano has it's background in indigenous African music. Find a video on the site also that gives you a sample of the thumb piano music. These wrist bells, with the tutorial at Skip to my Lou is actually made really well and will last for a long time. 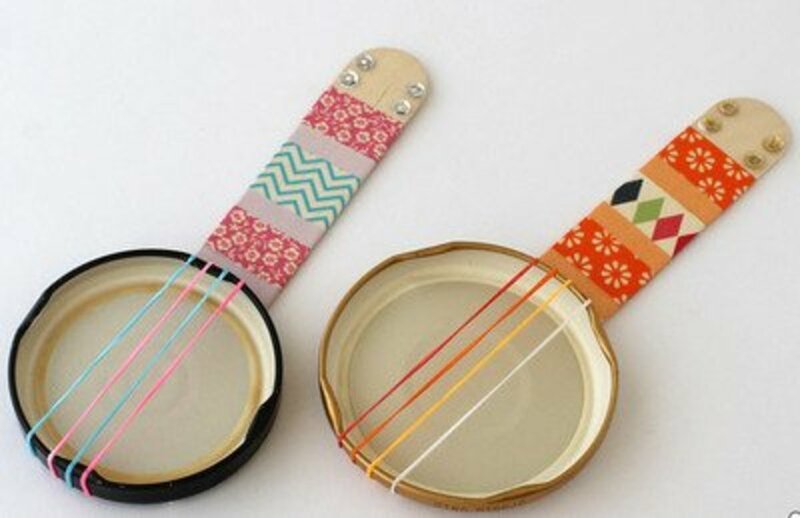 These would be nice to give as a gift to a child who loves to make music and dance. 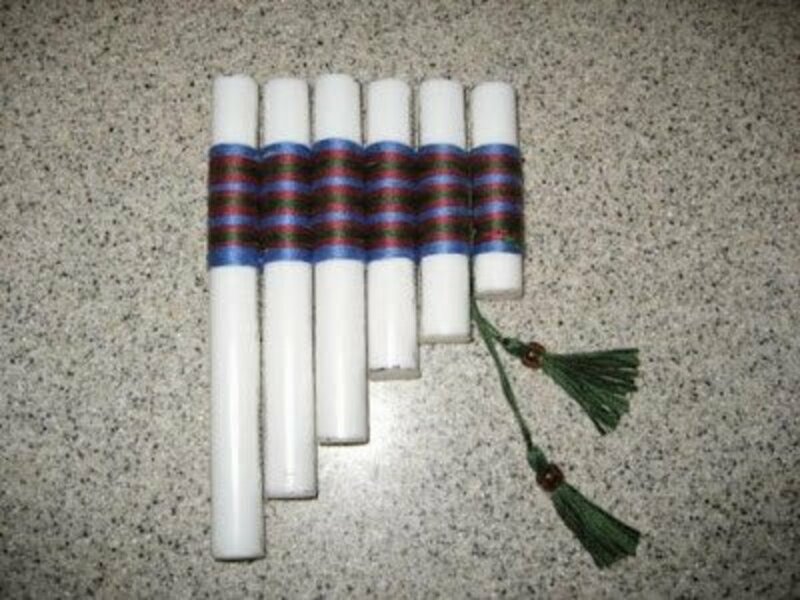 This instrument called a panpipe or pan flute is made using plastic pipe. The author says that her pan flute works as well, if not better, that her purchased bamboo one. 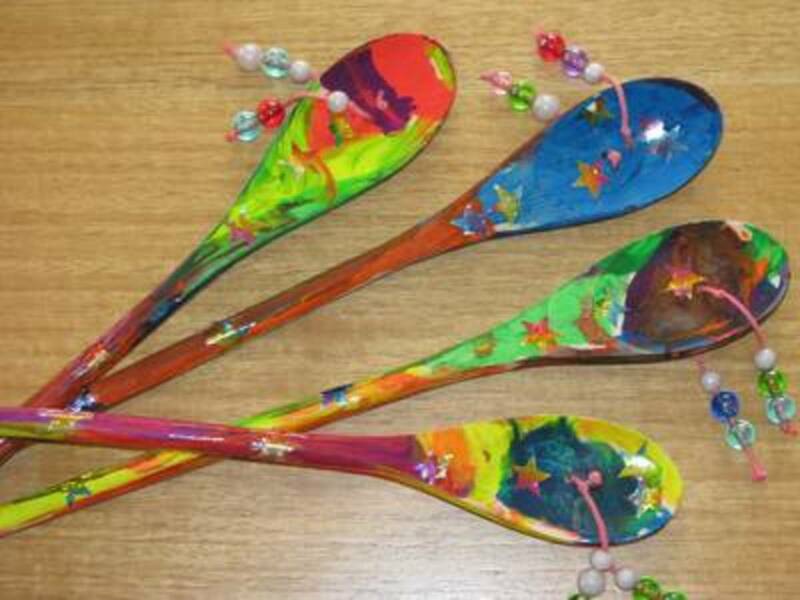 Find all the information you need to make this musical instrument at Musical Magic. When the kids hear that this musical instrument is called a Chinese gong, they'll be all ready to make one like it. 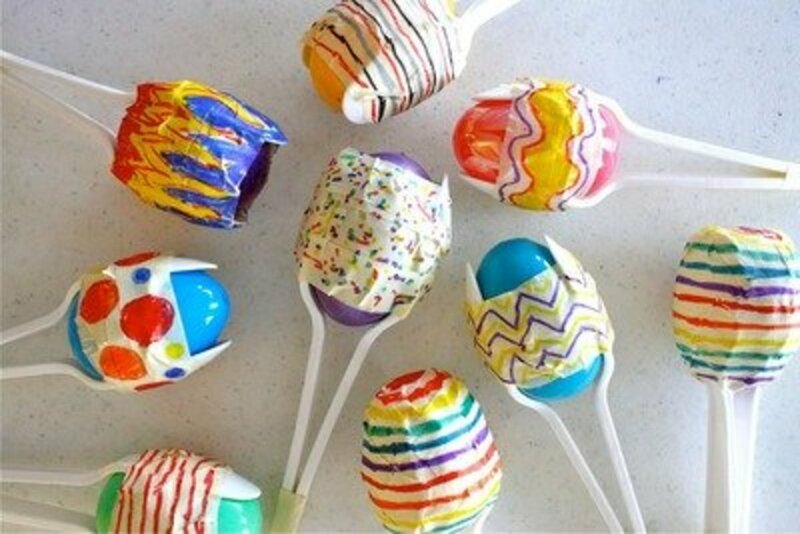 You'll find the instructions for this project at KinderART . 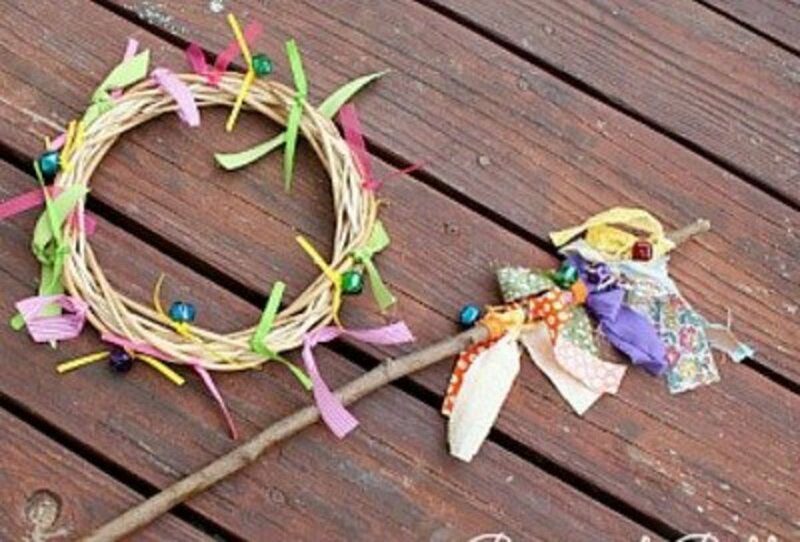 Easy to make with items you have on hand. 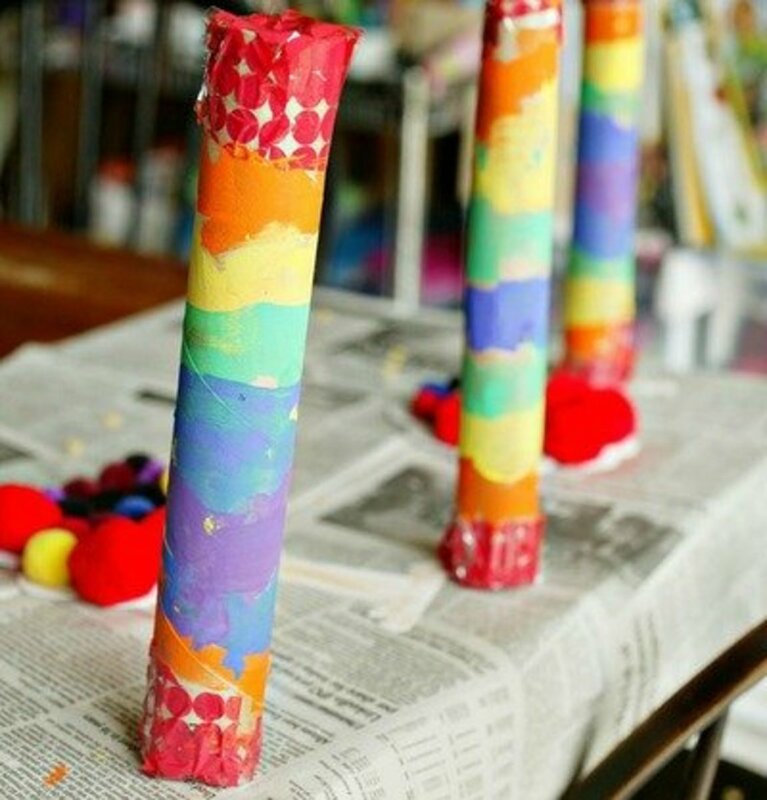 Be sure to save your paper tubes so you'll have enough of them when you start making musical instruments. Everyone in the family will want to be part of this band. 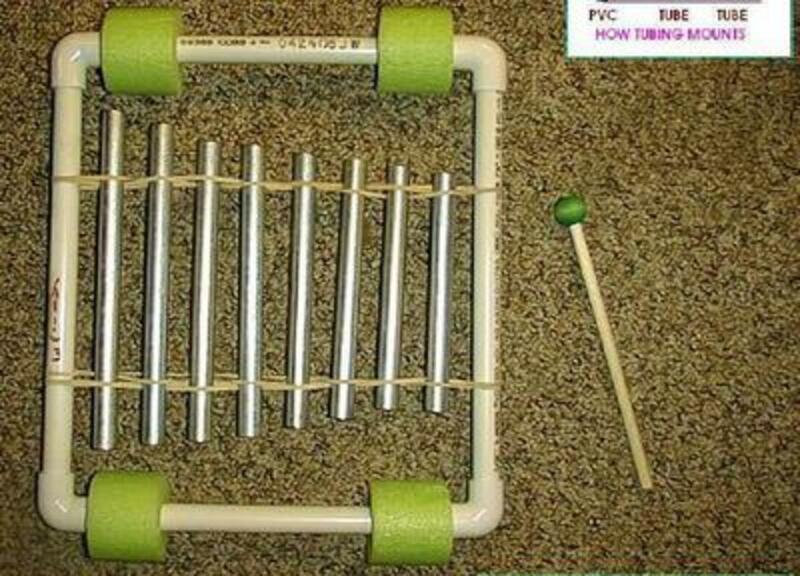 Then follow the tutorial at MINIECO.CO.UK to make these tubular bells instruments. Imagine all the fun this project will be. First, there's the painting the paper towel rolls, then adding the beans, rice or whatever, and then playing music. See the instructions at Views From My Window for making the shakers. 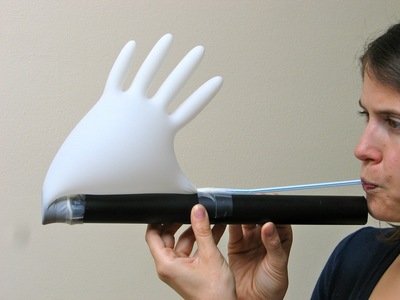 Here is another interesting musical instrument to make. You'll find the tutorial at Musical Magic. You'll see that it is an easy project and one that gives good sound. There's a little more to making this trombone, but you'll be pleased with the results. Find out how to make this unusual and ancient musical instrument that the Aborigine people played. The instructions are found at Kool Kids Crafts. 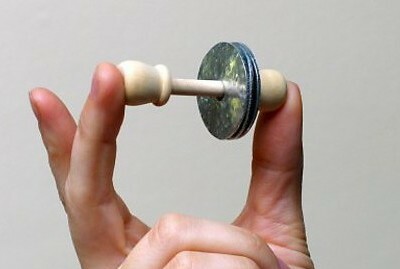 Go to the Education.com site to make these castanets, and then try for your version of a flamenco dance. 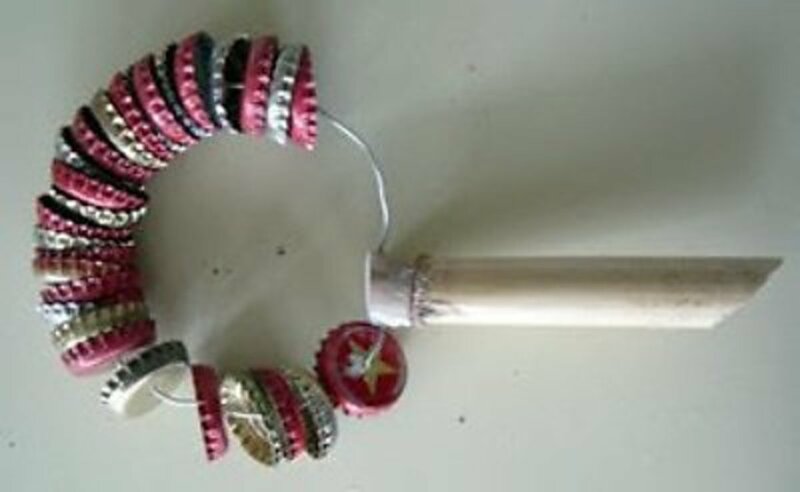 Make a really inexpensive musical instrument using a a tree branch, a wire coathanger and some bottle caps. You can follow the instructions at Oh Rubbish. You'll want to start saving jar lids so you can make these little mini banjo for yourself and your friends. The Craft Train shares their tutorial. 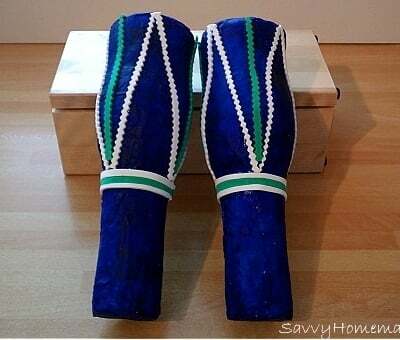 Check on how to make a hand drum, by going to Moms and Crafters to find the directions. I like how this guitar is decorated. For all the information needed to make this project, go to Pink Stripey Socks. I can imagine this would be a great activity for a girls birthday party or slumber party. A Bubbly Life is where you'll find the instructions for making this tambourine. 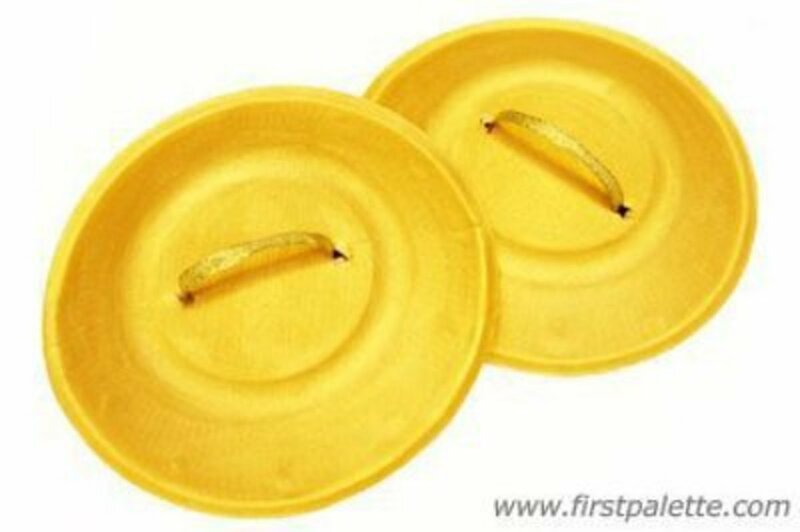 Here is a new use for a Frisbee. 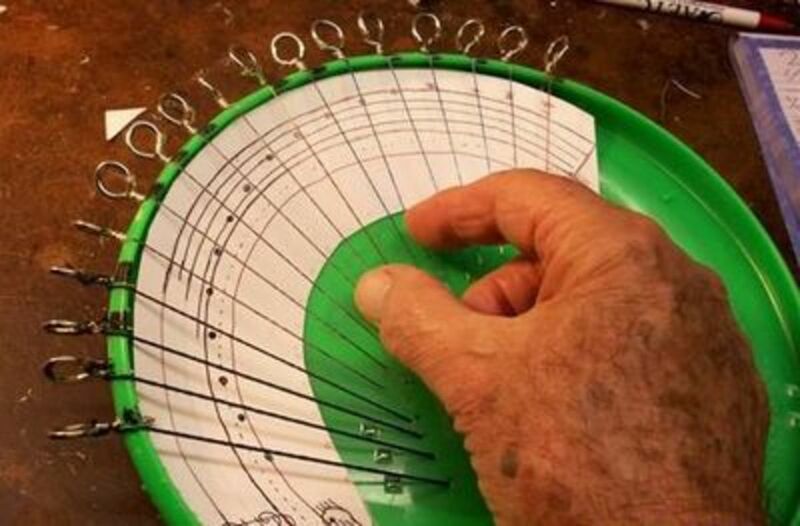 To make a mini harp like this one, follow the directions given at Instructables. This is a two fold great project. 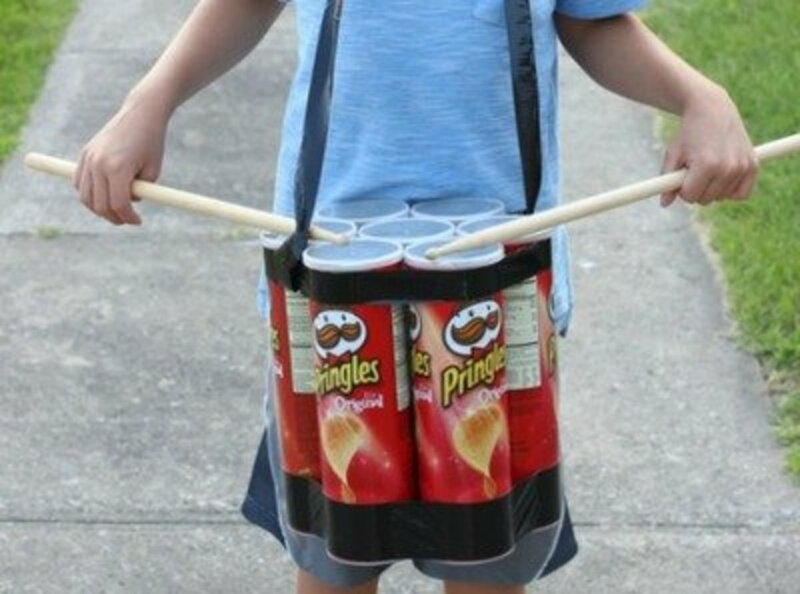 First you get to eat all the Pringles, and then make a set of drums so you can march. The Taylor House has the instructions. Be sure to read the introduction to this project. It helps to understand the history of this musical instrument. Go to Hearing Shofar for this interesting horn tutorial. 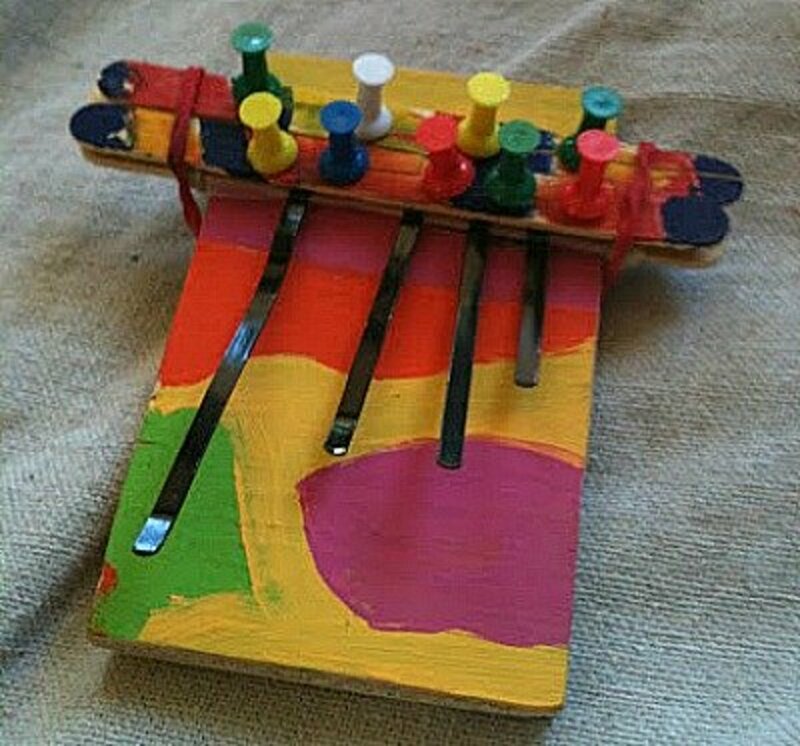 An interesting fact I learned when I found this tutorial by Kinderart, is that this unique musical instrument has a history in the Andes Mountains of South America. When I saw this picture I immediately thought that Tinker toys would work in this project. Scroll down on the page at Developmental Community Music to find this project. 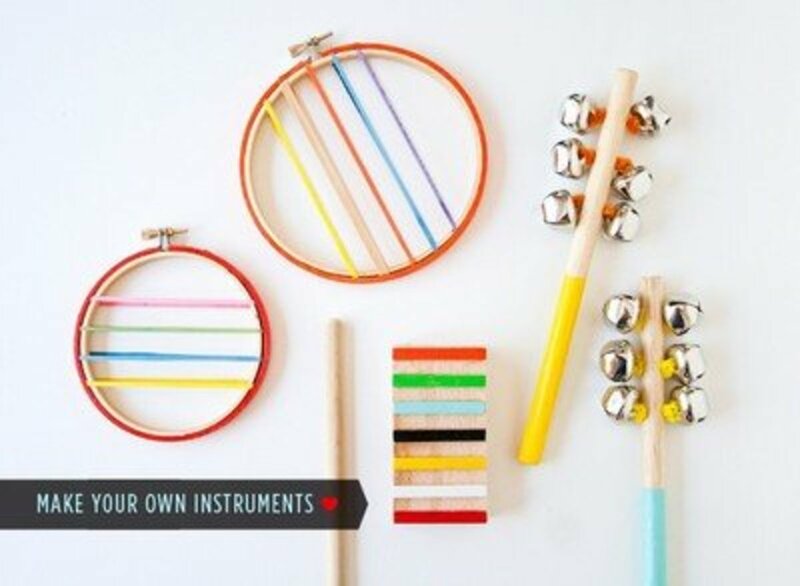 Get the whole family involved in making and then playing music with these music makers. Instructions are found at Learning 4 Kids. 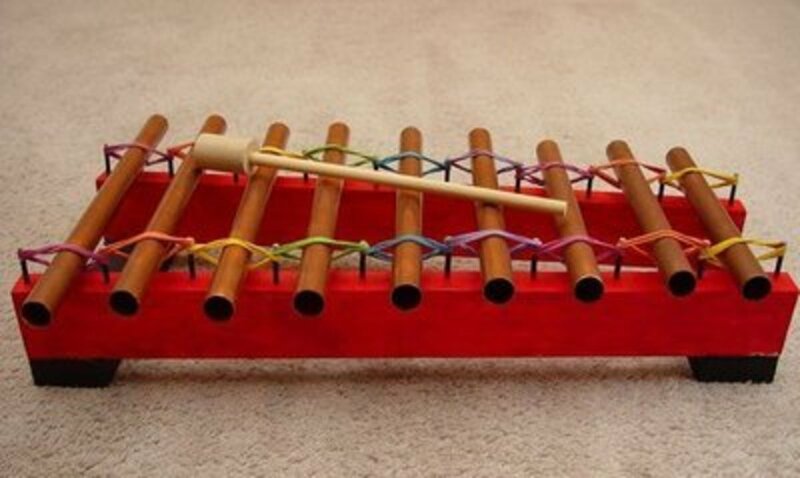 What could be easier than making a music instrument with chenille strips, bells and pony beads? 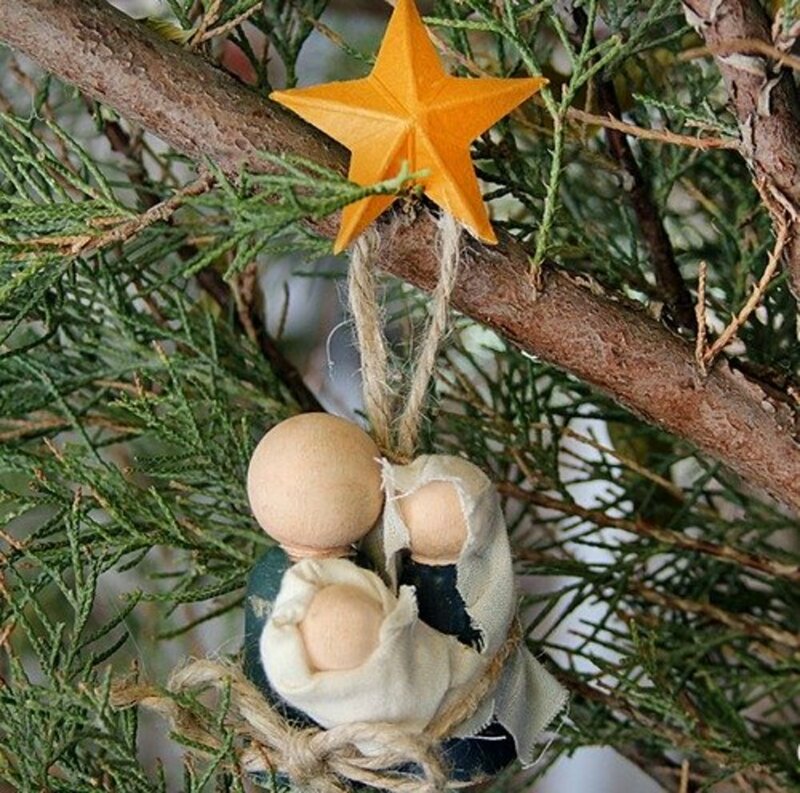 A great project from All Kids Network that even the littlest kids can make and enjoy. I thought these maracas looked so fancy that I had to include them here. 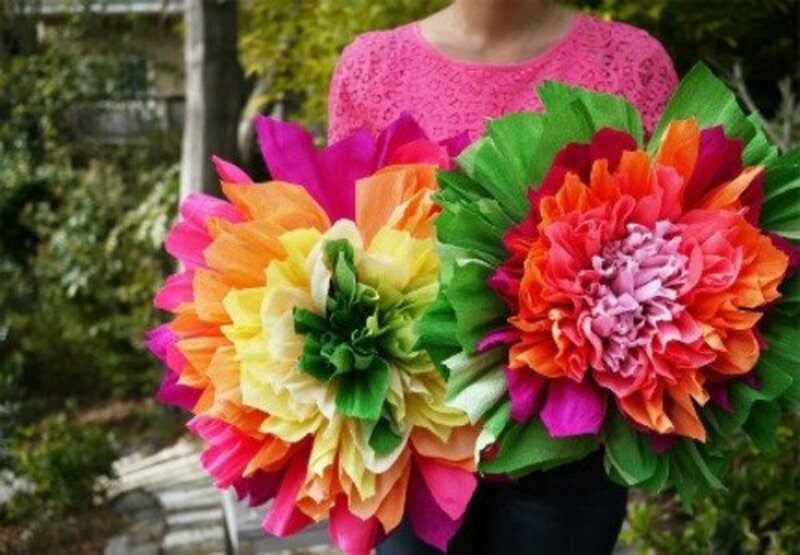 Find the tutorial for making them at Savvy Homemade. I don't know if this has a musical instrument equivalent, but I think it would be immensely fun to play with. It is featured on Fem Manuals. 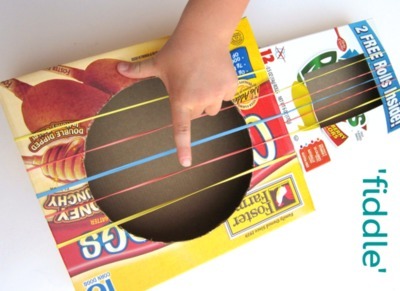 Find out how to make this musical instrument by going to OOpsey Daisy for the instructions. You'll have to scroll down on the page a bit to get to the fiddle. You'll want to check out the history of the diddley bow, also known as the "string wonder," when you go to Scholastic, to find the tutorial. 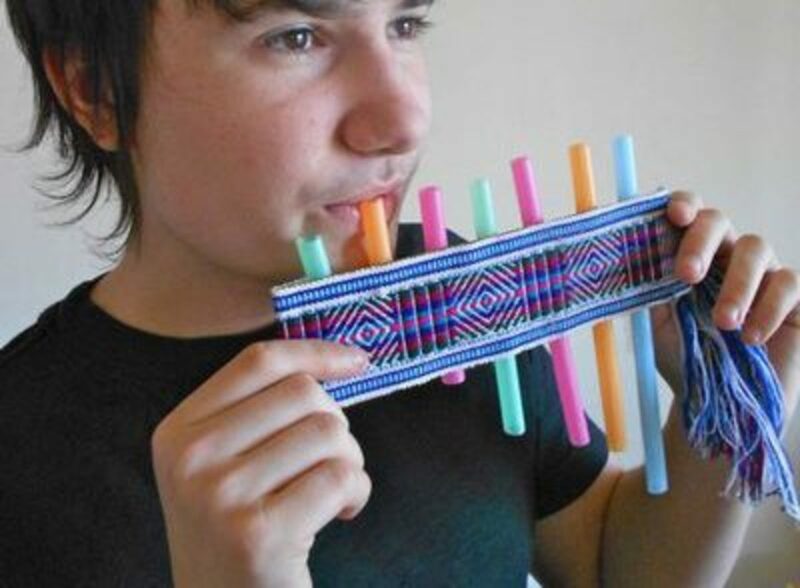 An interesting and fun instrument to make. I wouldn't mind having one of these for myself. Find the tutorial for this outstanding xylophon at Dennis Havlena. 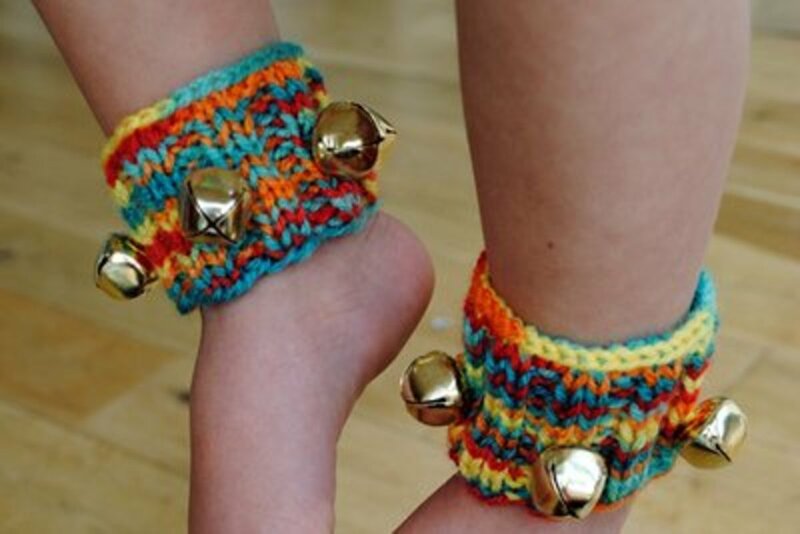 Make these fun ankle bells for your child or grandchild, the kids will love them. Find the instructions at Minieco.co.uk. 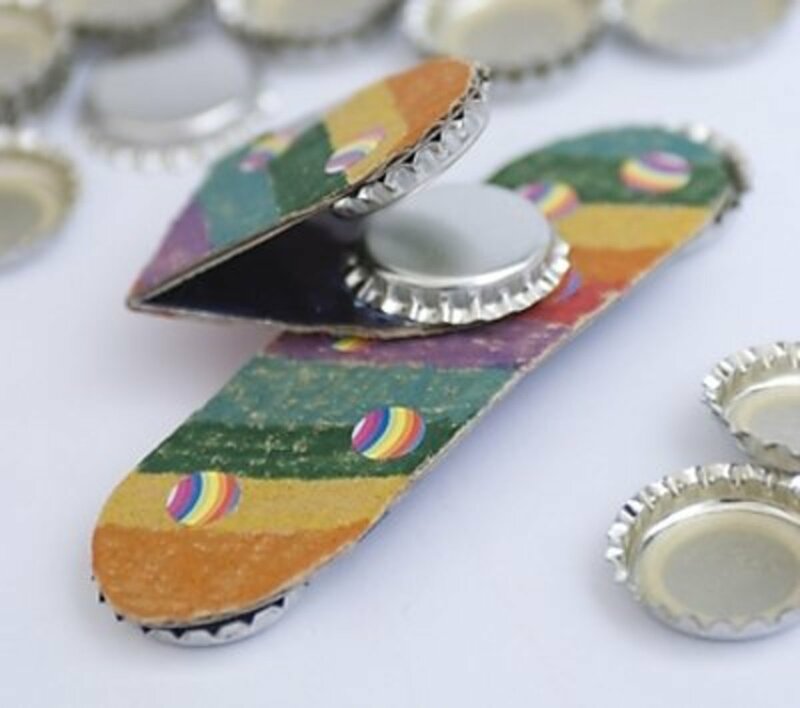 In North India ankle bells were made of leather or cloth pads, but these Ghungroo styled by Kid World Citizen are made of felt. A very nice explanation is given with the directions. A very nice Australian aboriginal project. 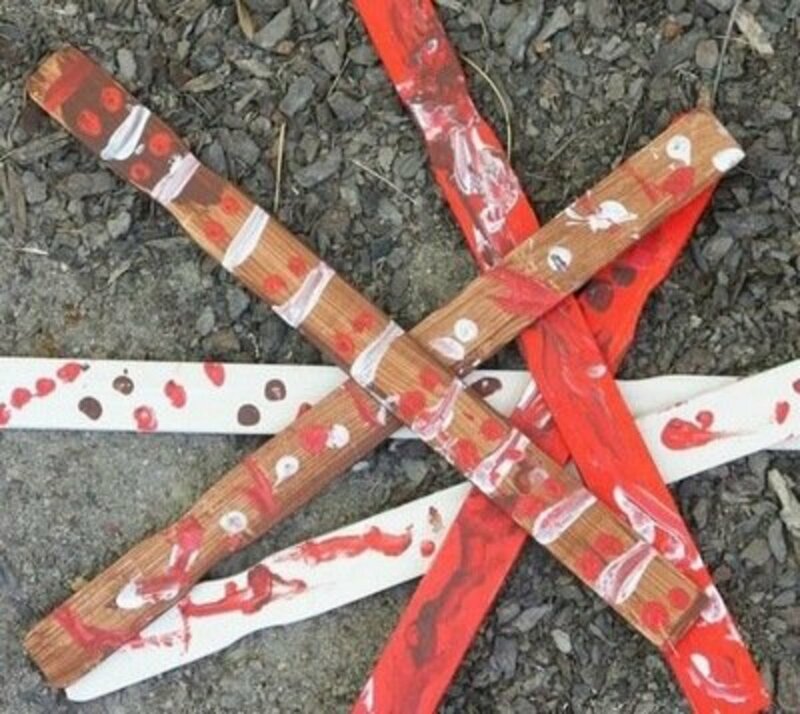 At Laughing Kids Learn, the article includes aboriginal symbols and a YouTube site, which you can click on, that shows how the clapping sticks are used. 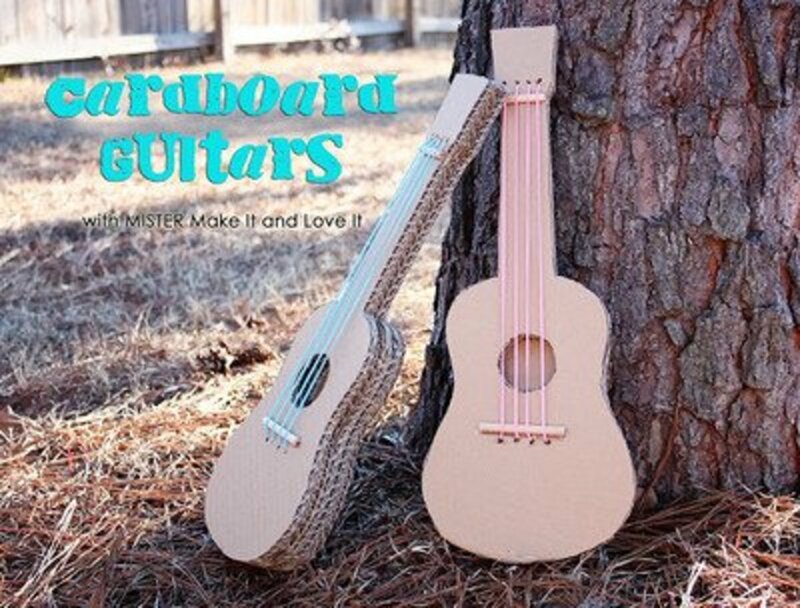 My grandson made a guitar like this one for a school activity last year. He painted it also, and received an A for his project. This is a very simple, easy to make guitar. Find the directions at Little Learners Lounge. 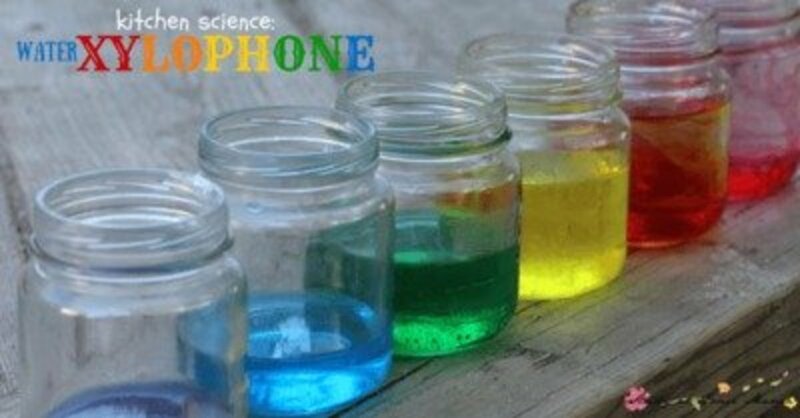 A fun science experiment, this is a combination that should make the kids happy, water and music. Pictures and process can be found at Sugar Spice and Glitter. 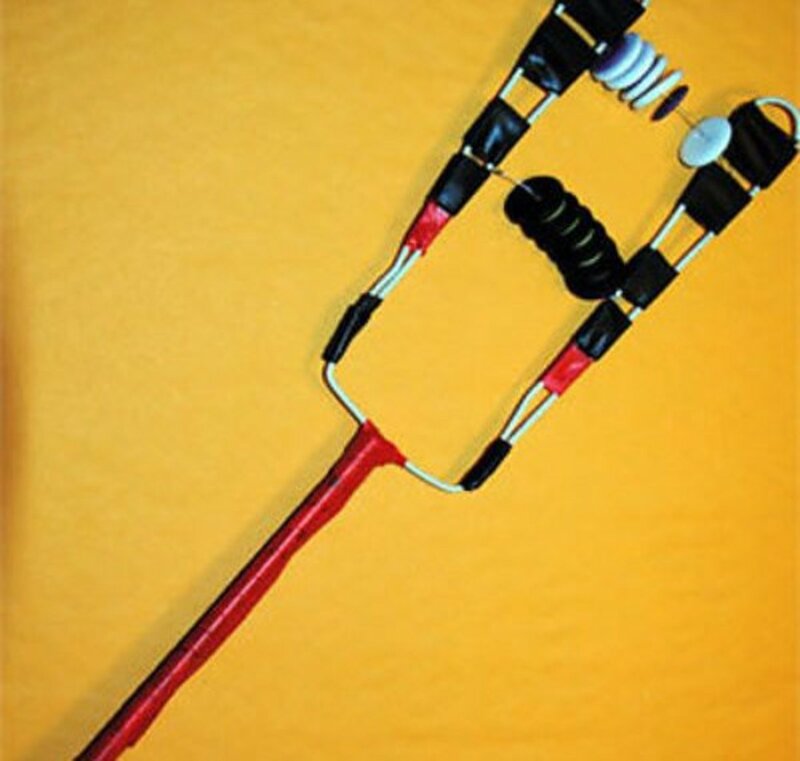 I don't know if there are many who would want to attempt this instrument, but just in case there is, you'll find the tutorial at instructables. I'm super impressed with anyone who would try this. A video on the site lets you hear what the glockenspiel sounds like. 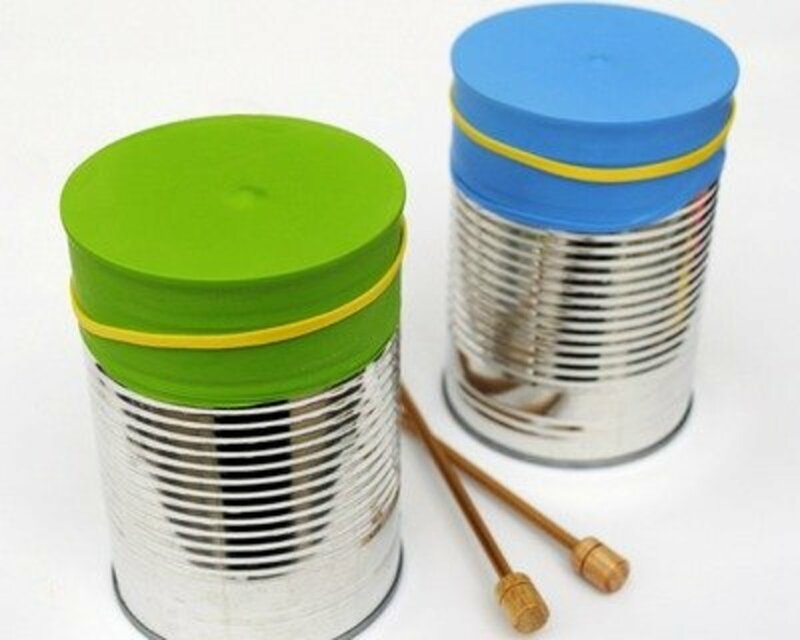 Do you have to use the tin cans for the homemade bongos in this article? I think an oatmeal box would work also. do you know where the tuba phone instructions are? There is an ad between the picture of the tubaphone and the text about the project. Just scan down to number 2. Tubaphone and then click on the highlighted link. Will you be making a musical instrument? Or leave a Comment. Thanks so much! we had to do this for a school project and these ideas helped a ton. Wnderful ideas, my choir teacher is having us make homemade instruments. So you really saved me, THANKS!!! Great job! I'm glad you found a project and did so well making it. A unique, creative and fun hub! 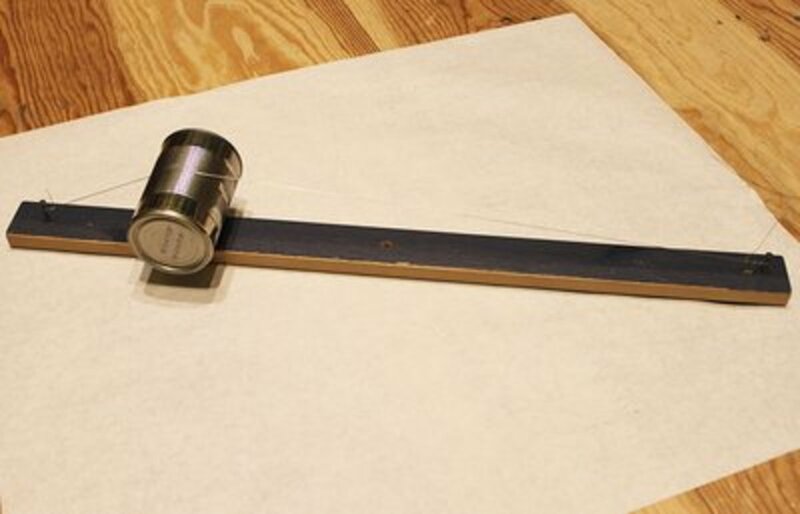 These ideas for homemade musical instruments is clever. Thanks and I'll be sharing this. we have to do this for school thanks a ton! Thanks for your visit and kind words, Jenny. Kids do like to make music and it helps if they can make their own instruments. What great ideas! Thanks so much for the article, I love it! Hi Linda! I do believe that the kids can have as much fun making the instruments and playing them. 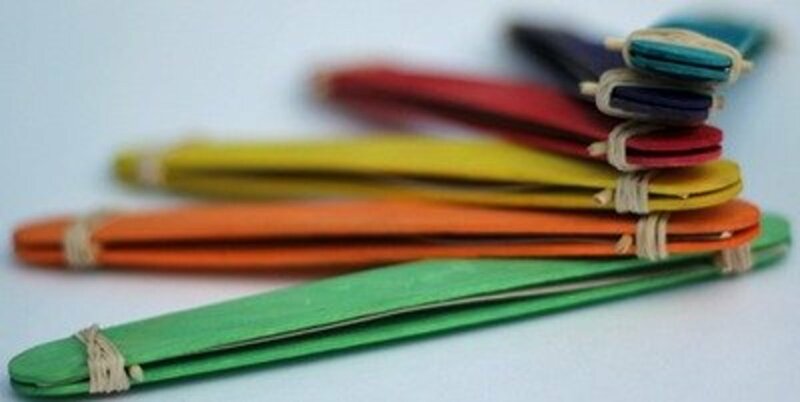 Although I think the only musical instrument in my childhood was waxed paper over a comb. My sisters and I made a lot of music (noise) with that. Memories made today are enjoyed again years later. Hi, vocalcoach! It means a lot to me to get a comment from a music teacher. I'm sure your students enjoy every minute in your classes. Thanks so much for the votes and share. 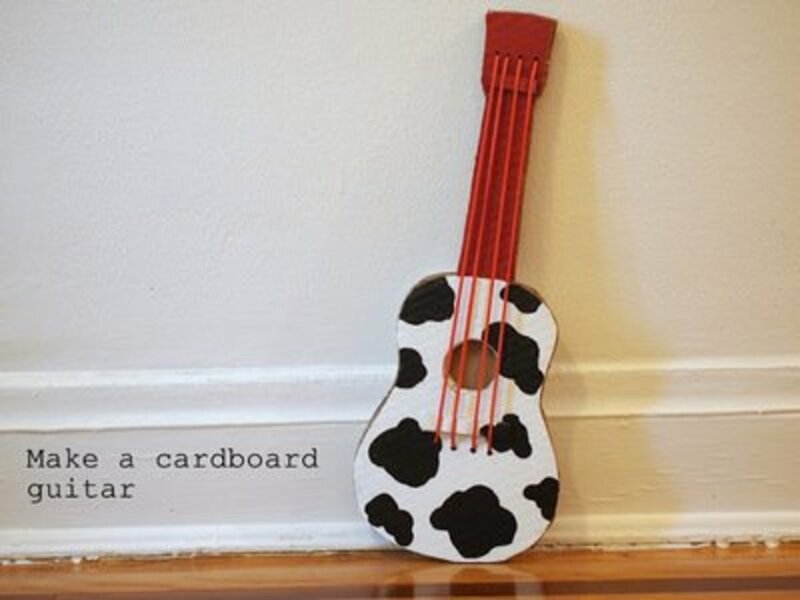 Being a music teacher, I enjoyed this hub about ideas for making musical instruments for children. Just great! The ankle bells and tambourine are my favorites. Thanks for stopping by and the comment. Kids do love making noise, and sometimes they become good musicians. 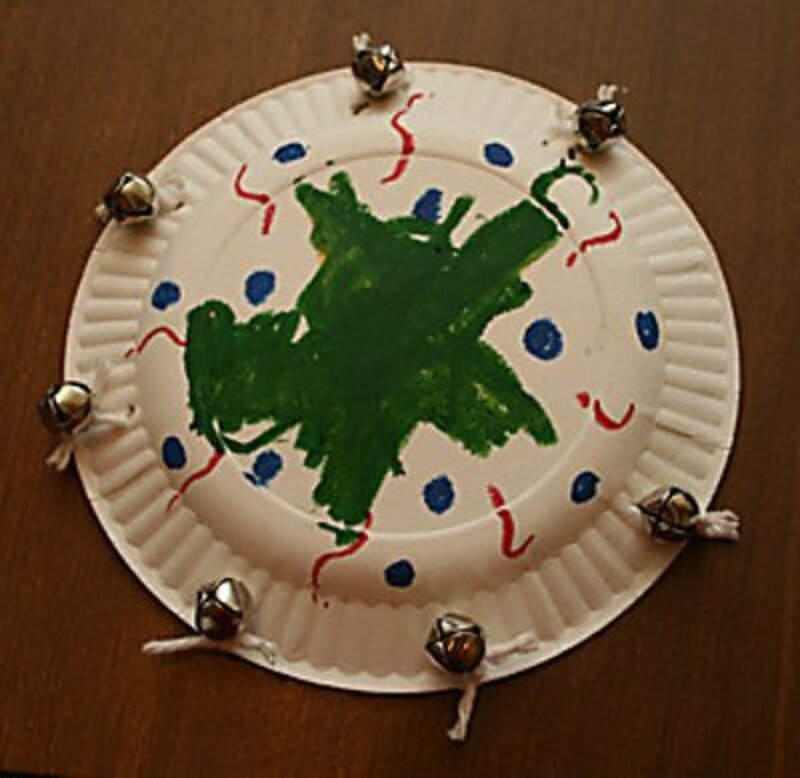 Some really great ideas and little kids love to make noise! You did some good research here.